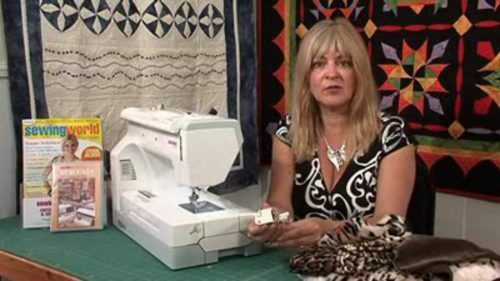 Jennie guides you through how to start free motion embroidery and complete a small picture. This is an intriguing skill that has been developed by some artists to a amazingly high level. Using the machine for this creative art form involves lowering/covering the feed dogs (serrated teeth under the presser foot), playing with the top and bottom thread tension and learning a good degree of control! Don’t panic – do try this effect just for a bit of fun. The next sections will proffer a few basic rules and suggestions that will help tremendously. First basic rule is to sit comfortably and relax!! This is meant to be a fun experience not a tense battle of wills. The machine is your friend, not a big bad ogre (although sometimes it seems this way) – learn to love it! Also, it will help to have a comfortable sitting posture. Sit properly at the machine – do not hunch your shoulders or have them tensely up under your ears! Try to sit a little further away, with your bottom poking out; push the machine away from you a little and get your elbows on the table; resting your body weight on the elbows leaves the hands and wrists free to manipulate the material. Raising or lowering your chair seat can also help. Tilting the machine slightly towards you with a small flat slat of wood or thin book may help. This action enables one to see the working area around the needle more clearly. The feed dogs (serrated teeth) need to be lowered or covered with a plate – see the instruction book for details. If the teeth can’t be lowered/covered then it may not be possible to do this type of embroidery. Older machines frequently have a knob or dial on the top or side which controls the pressure on the presser foot – turn this to its lowest point; now there will be virtually no pressure under the foot – check your instruction manual to ensure that you have turned the correct dial. Pfaff owners will need to remember that most of their machines have a two-stage presser foot lever and it has to be at the first stage (latched into a little shelf), then enough space remains under the presser foot to permit free movement of the work. 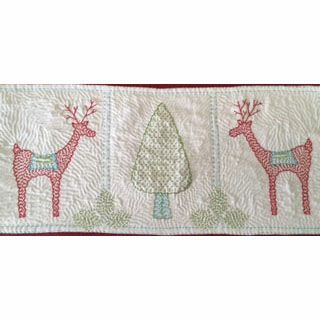 Generally speaking in machine embroidery, a larger, heavier and stronger needle is required to pierce through the many layers of built up thread. Incidentally it is very easy to break the needles when doing this, so lay in a few spare. Special needles are now available with a longer groove above the eye. This is reputed to lead to fewer breakages or less fraying when using metallic or other difficult threads. Finally, your choice of thread is important. 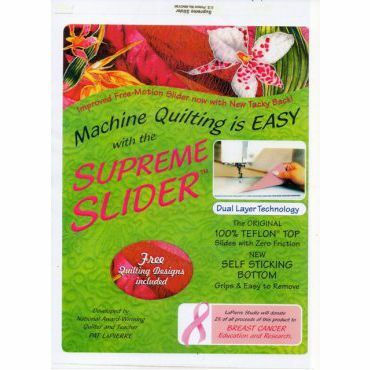 To begin with, use the same type of thread from the same manufacturer, preferably polyester with a 40 count. Threads vary tremendously in thickness; often there will be a number on the reel such as 30, 40 or 50 (higher thread count = thinner thread). Polyester thread is stronger than cotton but you may find that the machine will perform better with cotton thread. Cotton and silk are natural fibres and consequently inert; man-made threads create a degree of static which can sometimes affect the stitch performance of certain machines. It is well worth experimenting with different types and construction of thread to discover which make the machine prefers. 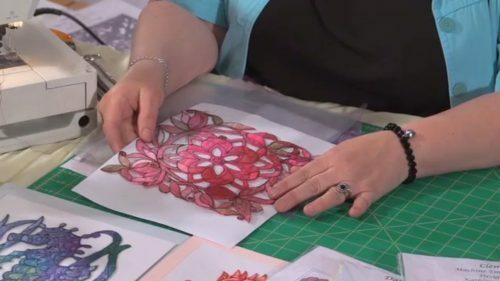 Learn the technique before you rush out and buy the wonderful embroidery threads that are available nowadays. 1. Insert the fabric into the hoop. Pull firmly to ensure that it is drum tight. 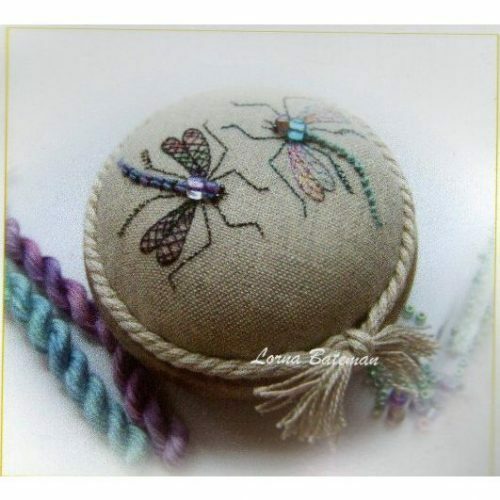 The fabric which will contain the embroidery has to be inserted into a hoop of some description to keep it taut. Omitting to do this either ends up with the material firmly stuck through the throat plate or the embroidered cloth becomes very distorted. 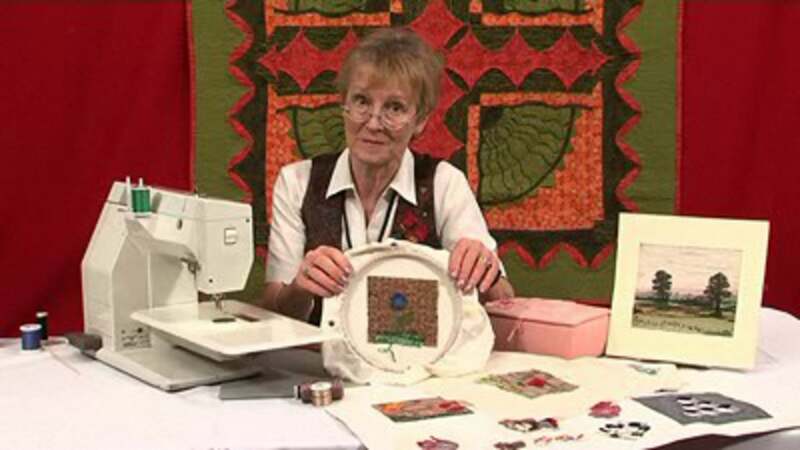 I find that a wooden embroidery hoop is an essential – bind the inner rim of the hoop with some old bias tape or strips of cloth – this will grip the fabric much better and cause less damage to the base material. It is considerably easier to get the fabric taut in a bound wooden hoop than certain other plastic/metal ones, although some people do favour these. 2. Draw a circle: 1½”(3 – 4cm) in diameter. CUT OUT leaving a HOLE. Check that the feed dogs are lowered or covered; darning foot in place. Stitch length and width should be at 0 (good working practice). Top and bottom thread tensions at normal. Put the hoop under the needle (you may have to push the presser foot shank up a little to slide it under); have the fabric in the bottom of the hoop (the inner hoop visible). 3. Position the needle ¼” (0.5cm) from the hole (above the fabric). Bring the lower bobbin thread to the top of the fabric – more good working practice and prevents the bottom thread getting entangled underneath. Lower presser foot; hold top thread firmly; lower needle through fabric; raise needle and hook up the bottom bobbin thread. Hold these threads securely while you do a few stitches on the spot. Cut threads off. 5. Sew several more times across the circle at these points – keep crossing through the centre and sewing ¼”(0.5cm) into the surrounding cloth. Try to keep the hoop moving fairly rapidly in comparison to the machine. 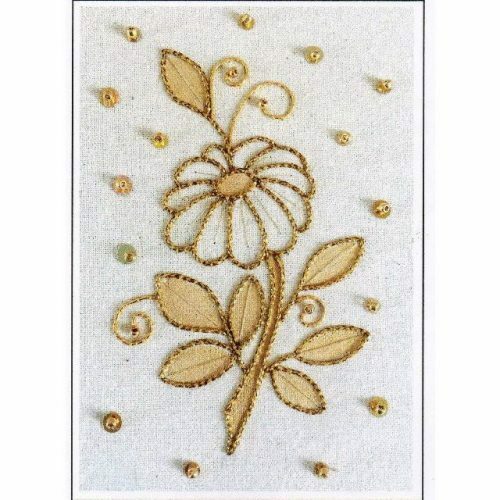 Running the machine fast and moving the work slowly makes tightly locked stitching – best flowers are made by lightly ‘locked’ stitching which will unravel on completion to produce nicely fringed shapes. Bit like rubbing tummy and patting head – very hard to run machine slowly and move hoop quickly. 6. 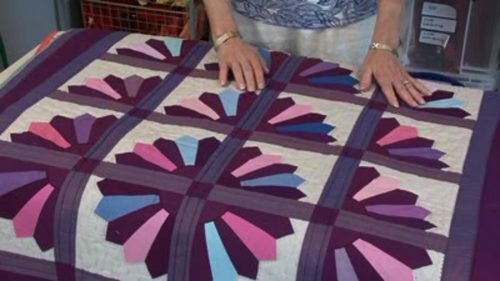 Fill in the circle by sewing from the edge to the centre and back (similar to the spokes of a wheel). Do ensure that you lock the stitching into the centre. Some embroidery manuals suggest that you keep sewing across the entire circle (from one side to the other) but I find that this gets exceptionally thick with packed threads and just as good an effect can be achieved by sewing edge to centre and back. 7. Continue stitching until the circle is totally filled. The more lines you stitch means the more feathery the flower; less gives a slightly anorexic effect! Sew into the centre, and running the machine fast and moving the hoop slowly, sew several times round the periphery of the centre to lock all the threads. This will make very small stitches which will hold all the layers of thread together. Stitch back on to the fabric. Cut the flower out, keeping as close to the fabric as possible. 8 Make another one in the same way. The hole is re-usable! Change the colours of the top and bottom threads. 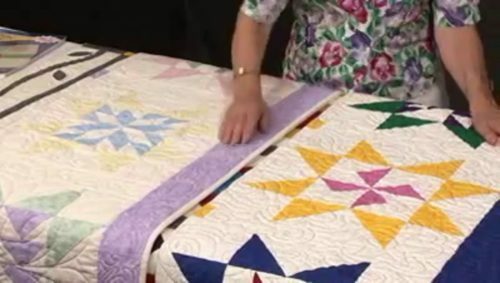 Having made one more, don’t cut it out; leave in the fabric; draw and cut a smaller or little larger hole elsewhere on the fabric and make a further one. 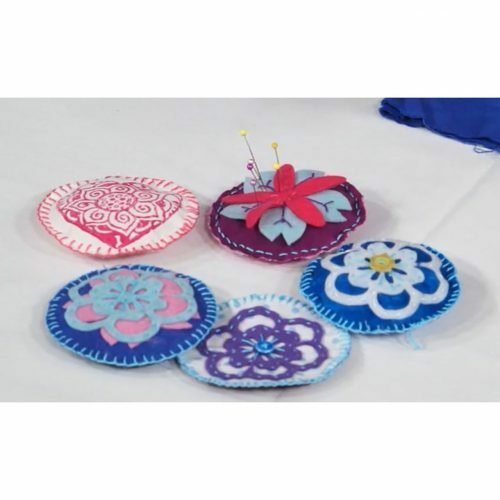 The base fabric can be used lots of times for different sized flowers, but do not have more than one hole at any one time or it will weaken the tautness of the material. How about using up all the old threads and having varicoloured flowers? In fact you could plaster the work with these little florets and everyone would think you had been so clever and not merely mucked up a few junctions. 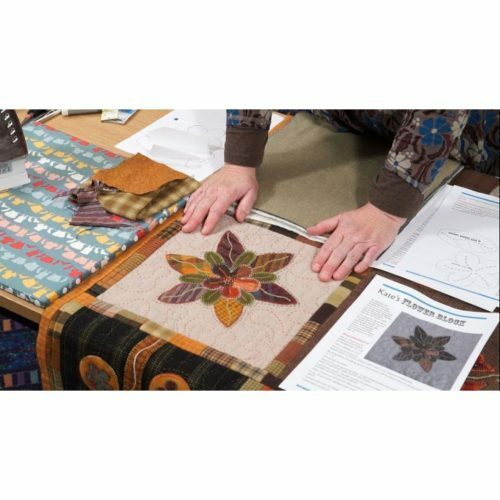 This is just part one of a two part workshop programme that Jennie has put on film for us – part two will be coming up onto the site in a couple of months. 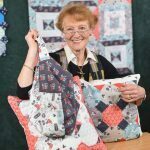 This skinnyish, red-haired, slightly wacky Brit is totally obsessed with ‘Nipping and Tucking’ – fabric manipulation and surface texture. Unique in her field, she’s now internationally known for her quick, simple, innovative and original techniques with manipulated material and her hilarious lectures with real ‘Strip, Show and Tell’.